Joshua Henkin's new novel takes place over the July Fourth weekend in 2005, during a family reunion at the summer home of David and Marilyn Frankel in Lenox, Mass. Eldest daughter Clarissa and her husband Nathaniel drive up from Manhattan, and middle daughter Lily is driving from D.C. They plan to rendezvous at Boston's Logan Airport, where they will meet youngest daughter Noelle and her husband Amram, arriving with their four small sons from Israel. Clarissa and Nathaniel make an odd detour and don't get to the airport in time. So Lily drives her sister and two of the boys to Lenox, while Amram and the other kids get there in a rental car. This is the first of several unexpected things that happen during what is, in fact, a melancholy get-together — the first anniversary of the death of their brother Leo, youngest of the brood and the darling of all, a journalist killed on assignment in Iraq. Leo's widow, Thisbe, is flying in from Berkeley with their 3-year-old son Calder. David, however, has not invited the family's only surviving elder, his 94-year-old mother, Gretchen, thrice-married and exceedingly well-heeled. Perhaps that is because, after the scheduled memorial service at the Lenox Community Center, Marilyn plans to tell the family that she is leaving David. Tolstoy famously declared that "every unhappy family is unhappy in its own way." The members of the Frankel family seem unhappy enough, in their own individual ways, but it also seems as if happiness has never really been an option for them, as if it were an item that had somehow been left off the menu of life. They are smart enough and ambitious enough (though even the ambition seems less of a drive than submission to an obscurely felt moral obligation). Marilyn, a physician, has coped with her son's death by writing op-eds denouncing the Iraq war and President Bush. David, a retired English teacher, has systematically distracted himself, taking up running, becoming an opera enthusiast, taking a course in slicing and dicing at the 92d Street Y. And precisely because David has been "trying to make the best of an unspeakable situation" Marilyn "hasn't been able to abide him … rage burbles inside her." At first, one is inclined to side with David against Marilyn, whose preoccupation with writing one opinion piece after another seems a kind of emotional exhibitionism. It turns out, though, that Marilyn just "doesn't like not to feel needed." And this little detail, mentioned incidentally, puts this poor woman in an altogether different light. Those little details, in fact, the bits and pieces of choice and circumstance, fortune and misfortune, that make up the mosaic of each individual's life, is what this subtle and ingenious novel is about. All the big things are affected by the tiny shifts taking place among the particles that lie beneath them and of which they are composed. Take politics. Ostensibly, it figures largely in these pages. Nearly all the family members are reflexively liberal Democrats. They hate George W. Bush. They oppose the war in Iraq. The year before, they all voted for John Kerry. Nevertheless, despite their tony degrees, their evident intelligence, their knowledge and taste, they somehow come off as surprisingly parochial. The exception is Noelle. She and Amram are converts to Orthodox Judaism and citizens of Israel. Noelle voted for Bush both times, thinks he's the best friend Israel has ever had. This infuriates Lily: "Lily holds all fifty million people who voted for [Bush] responsible for Leo's death. With Noelle, though, it's worse; she was Leo's sister. You killed your brother! she wants to shout." Henkin takes no sides in his novel. He simply presents his characters as they are, as they think, as they feel, how they interact and lets it all reveal whatever it may. Marilyn at one point refers to her opinion pieces as "tendentious." The World Without You is anything but tendentious. It lays out problems, but offers nary a solution. At least, it doesn't seem to. It may, however, be all along slyly pointing to a subject that is never directly addressed. Which brings us to Leo and to what Thisbe "can't tell her mother-in-law … that if Leo were alive he wouldn't recognize the person she's writing about." The last family member to see Leo alive was Noelle, when he visited her in Israel before heading back to Iraq. Noelle was 4 when Leo was born and at the time resented him for replacing her as the baby of the family. Noelle was different from her siblings. She was the slow learner in school, and her hearing is slightly impaired. But she grew to be a beauty. And she was shamelessly promiscuous. Now, she has made a 180-degree turn, so careful of her religious observance that she can't even eat the food her father has so lovingly prepared. The food is kosher, and the dishes are kosher, but still, it isn't kosher enough: "The kitchen itself would need to be kosher," Noelle says. " The oven, the dishwasher, the microwave, everything." Noelle is no mere slattern turned prude. She has found something the others have no idea exists: a meaning larger than the details and occupations of life. 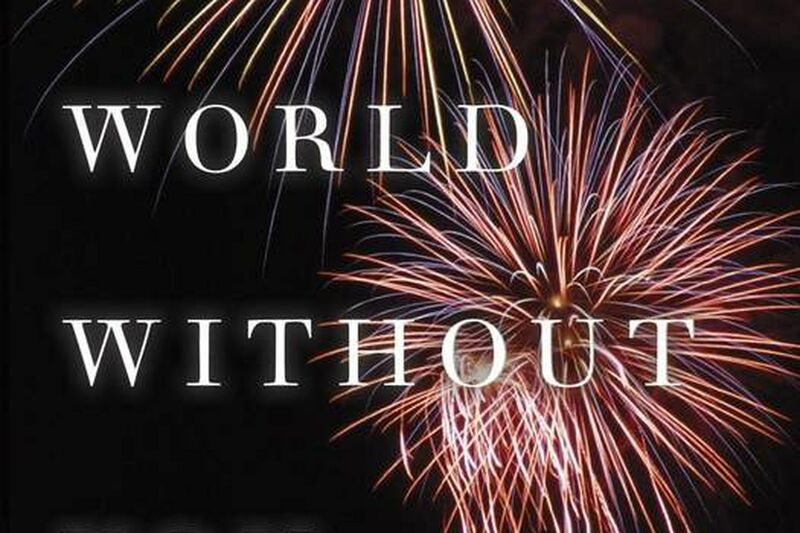 Deep down, perhaps even unbeknownst to its author, The World Without You may well be a novel of faith. It is certainly a novel for mature readers — those who like fiction providing insight into how people actually live. Frank Wilson is a retired Inquirer books editor. Visit his blog "Books, Inq. ? The Epilogue." E-mail him at PresterFrank@gmail.com.